Whether it is an active application or a completely new idea that you want to bring to life, Samaritan InfoTech android app development services are what you require. Right from designing the UI/UX to complete android app development, our team of engineers put together a powerful and user-friendly Android app for your business. 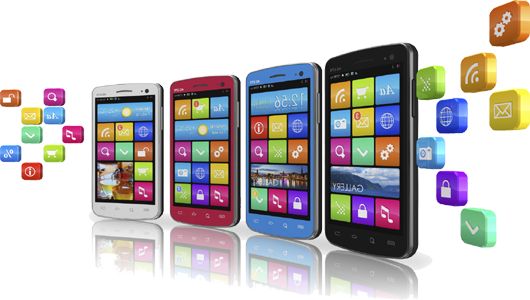 We have developed and deployed hundreds of business and enterprise Android apps for our customers globally. 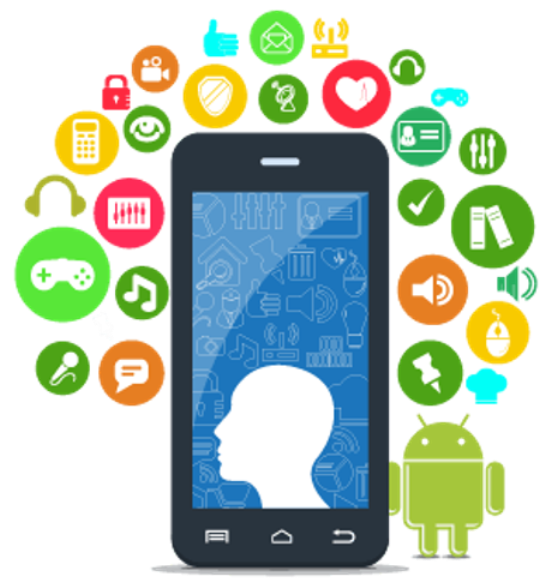 We have expertise in Android Software Development Kit (SDK), Android Media APIs, Location-based Service APIs, Wi-Fi APIs, Android Security Architecture, OpenGL, 3D graphics, and other technologies required to build the most innovative Android apps. At Samaritan Infotech, we take a lean approach to building the Android apps and the UX. Take a look at our unique Android app building process and Android UX approach. The Internet has changed the way we thought about fashion. You can buy cloths, handbags, accessories, and shoes virtually anywhere and everywhere. Because of this, shopping for stuff is more fun than its ever been before. some apps such as Etsy, Hush , Ipsy, Poshmark, Sephora etc. Entirely made-up research suggests there are now more social media apps than there are actual people willing to be friends with you – so how do you go about choosing the right apps to avoid smartphone social death? Some Social Media Apps like Facebook, Plume, Seesmic, UberSocial, YouTube, Twitter etc. Lifestyle Apps & E-commerce apps can generate greater customer engagement and increase sales over traditional websites. Every eCommerce app should offer such key functions as allowing your customer to register, log in, shop and make payments, view order status and order history, and generally manage their account. Samaritan InfoTech is the best full-service Android App Development and Game Development Company, headquartered in Indore, We have the most experienced Android developers for the design, development, testing, and deployment of Android Apps.Samaritan InfoTech is following 3 steps to develop & give top most designed to our end users. The development of a Android mobile app starts with our business analysts discovering and defining your requirements for the final product. During this phase we identify potential risks and technical challenges, prioritize a set of required features, and build a project roadmap. We create wireframes and prototypes of the future app to ensure excellent user experience, easy feature navigation, and intuitive functional capabilities. Whether the users of your future Android app prefer smartphones or tablets, we will ensure that our solution runs smoothly on all devices under any conditions. Each stage of the development process, our QA engineers will be occupied with testing your mobile application. Detecting and eliminating the design drawbacks and failures in the program code, we deliver products that generate higher user satisfaction. Samaritan listed are some of the benefits for companies while choosing an Android platform for creating business apps. The Android platform is open source which means the Android Software Development Kit (SDK) can be leveraged without having to worry about the licensing costs or royalty. A user interface can either make or break your app. Android-based applications are highly customizable and easier to manage. Google is highly focused on making its user interface customizable to help developers create custom Android apps for business. Android has a relatively low barrier to entry. Its Software Development Kit (SDK) is available for free to developers which significantly reduces the development costs. However, the app development costs can be bifurcated into three major parts: development, testing, and deployment. Android apps are scripted in Java programming language that leverages a rich set of libraries. Any developer familiar with Java can build Android applications easily.